On Sunday, March 31, 2019, Atoms from both the HS and MS attended the 40th Annual CNY Science and Engineering Fair at the Museum of Science & Technology - MOST. 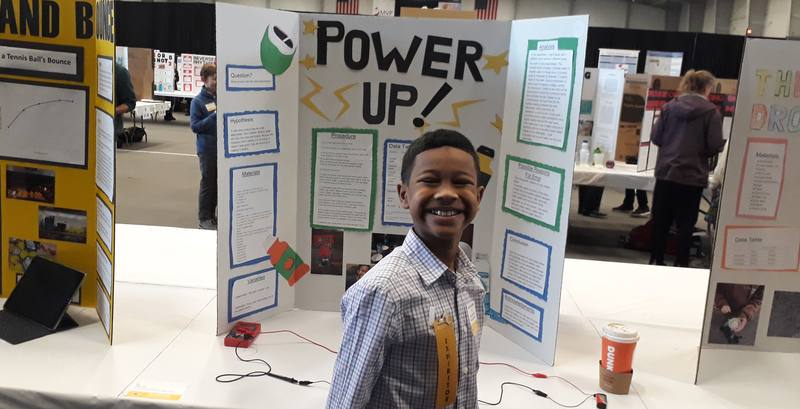 This annual event allows students to show off their science skills against others throughout the Central New York Region. Our students took home $45,000 in scholarship offers, and several prestigious awards. #SASCS Junior Lalita Dahal completed a research project focused on freshwater mussels during the summer of 2018. Her research won several awards including the; Upstate Medical University Dean’s Award in the Biological Sciences, Terra Science and Education Award, Exceptional GENIUS Award, and a Syracuse University Scholarship of $40,000. Senior Level Participant Award for exceptional study and accomplishment in a field of technology. Award: Signe A Golash Mathematics Award. This certificate is awarded in recognition of the top project in the field of mathematics by a female participant. This award is offered to female students. These projects should exemplify high standards of innovativeness and scientific excellence in the geosciences. Special consideration will be given to projects that increase the public awareness of geosciences, illustrate the interdisciplinary nature of the geosciences, or promote the sensitivity to Earth as a global system. A total of 26 middle school students represented #SASCS at the annual CNY Science Fair. There, they displayed their remarkable boards and amazed judges with their knowledge. Way to go, Atoms! We are so very proud of each one of you.